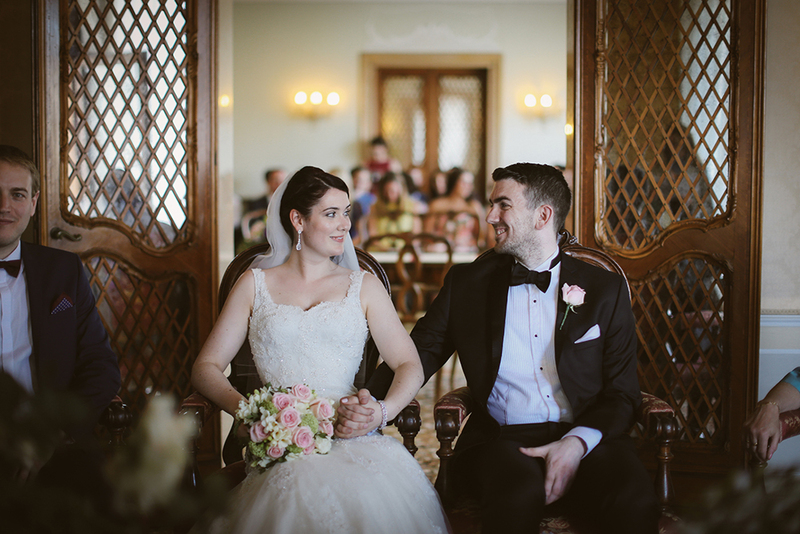 Celebrating with close friends and family with a civil ceremony at Palazzo Cavalli and reception in a private palazzo (Venue 4). They had the sweetest vows that seemed they were almost written together. Stephi was the first of her friends to get married and you could see and hear the emotion from her girlfriends. 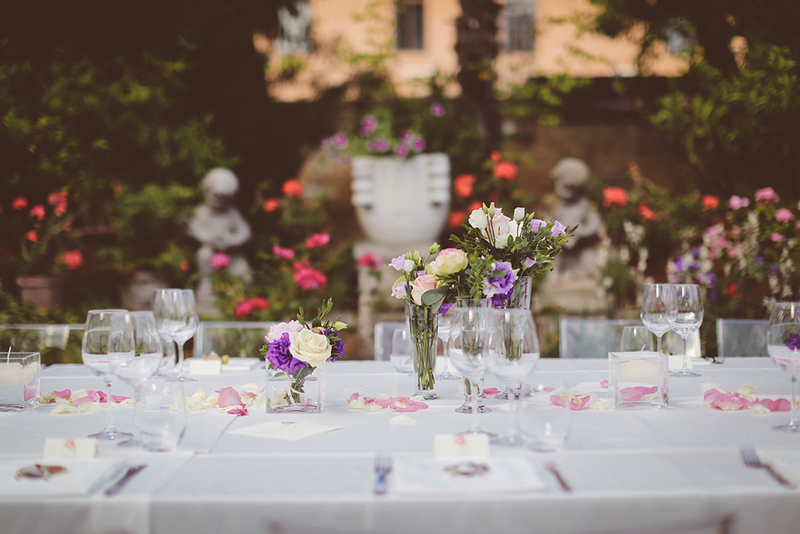 The couple had the aperitif and speeches in the ballroom and then moved into the formal garden for dinner. 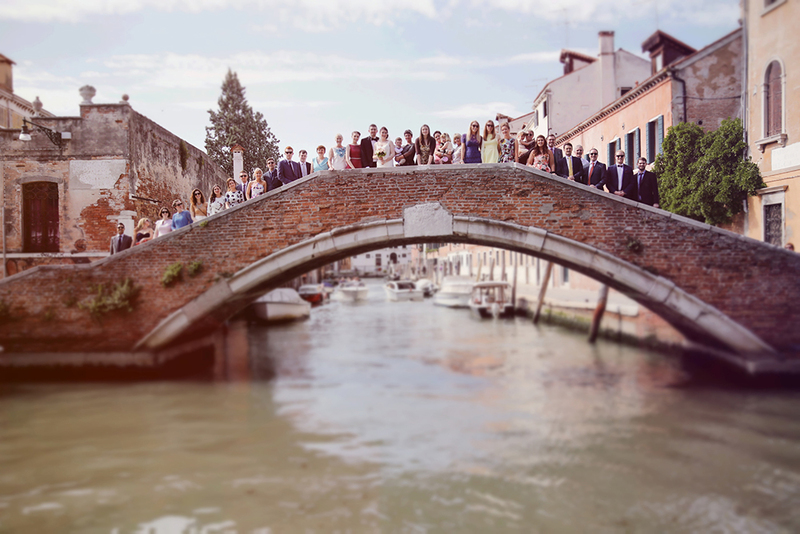 "Amber took care of all of the legal stuff to do with getting married in Italy and also gave us options for photographers, caterers and other vendors which made the process so much easier as we didn’t have to do our own research, we could just pick from her lists! 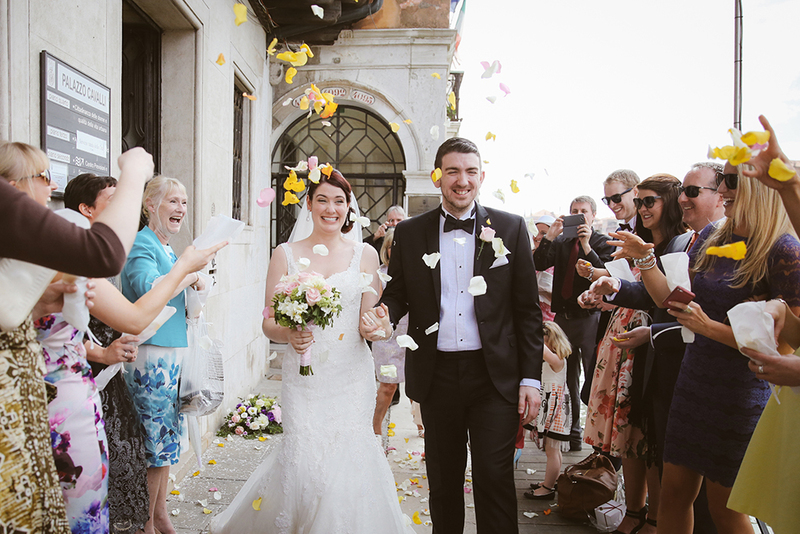 It was really easy to plan the wedding from afar and lovely to go to Venice for the odd planning trip with my Mum. Our advice to someone getting married abroad would be, don’t try to plan everything! 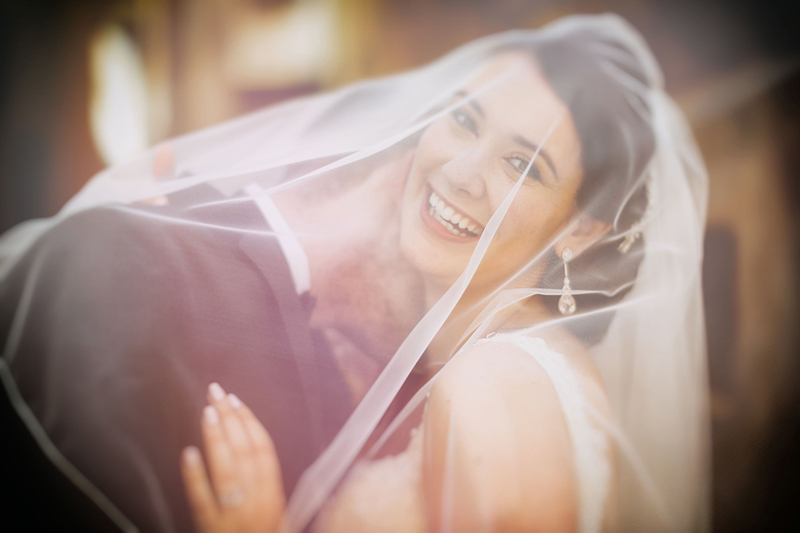 You can’t be a bridezilla and get married abroad, trust in your planner and the suppliers you choose and then just be care free and enjoy it."